The zombie sub-genre of all forms of media, especially in video games, is here to stay and I am fine with that. While it may seem that the zombie theme is waning, I still love to play any and all that cross my path and look forward to the few that enhance the genre. Fight Fight Zombanite! is a pretty good example of what I am talking about. 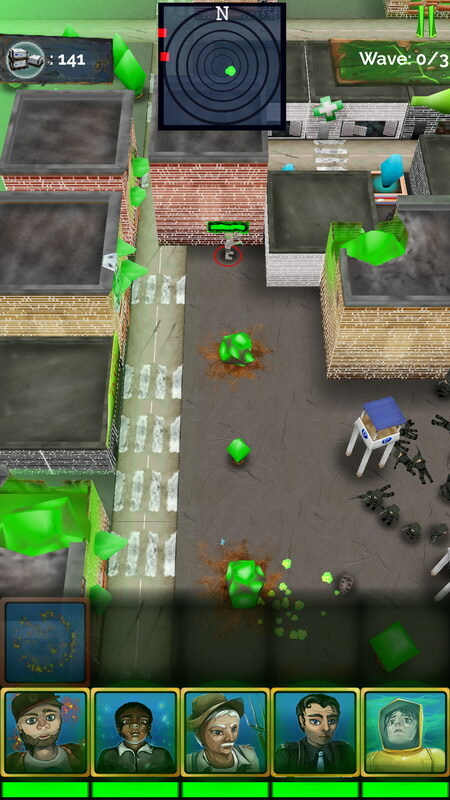 The mobile game from new developers MojoBox Games may not look much at first glance but in reality it is fairly different than any other zombie game I’ve played and actually a blast to play. Not only that but Fight Fight Zombanite! doesn’t just focus on one style of play such as only shooting zombies but branches out and has a whole variety of mission types and styles of play to keep things interesting. What is Fight Fight Zombanite!? 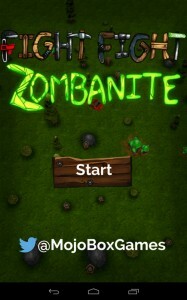 I have already established that Fight Fight Zombanite! isn’t a first person shooter or anything that has been overplayed. Instead, Fight Fight Zombanite! 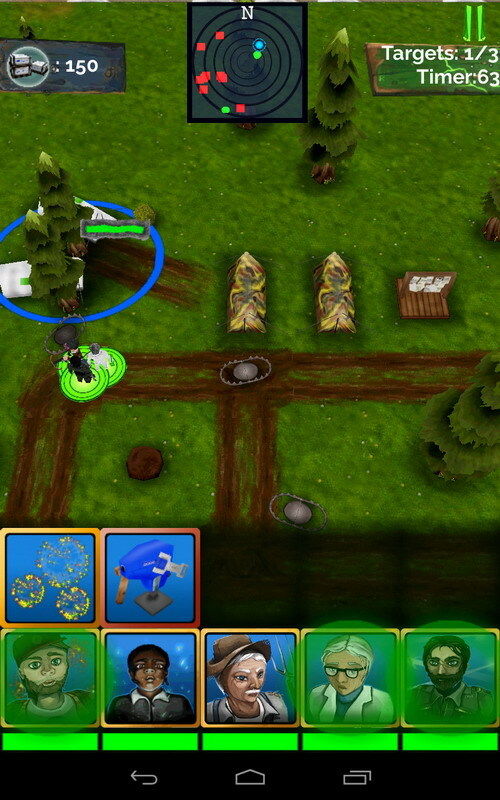 is a mixture of RPG and RTS elements. You start out with one character stereotype that you choose from a list of three and then embark in your zombie apocalypse tale. 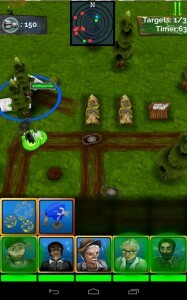 Gameplay plays out on a top down point of view where you can then select your character(s) and simply tap where you want them to go. 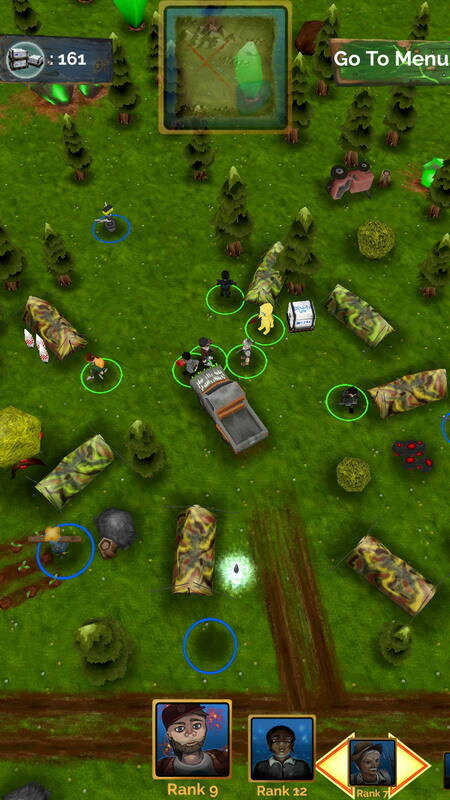 As zombies approach them your characters will automatically shoot at them if in their range. 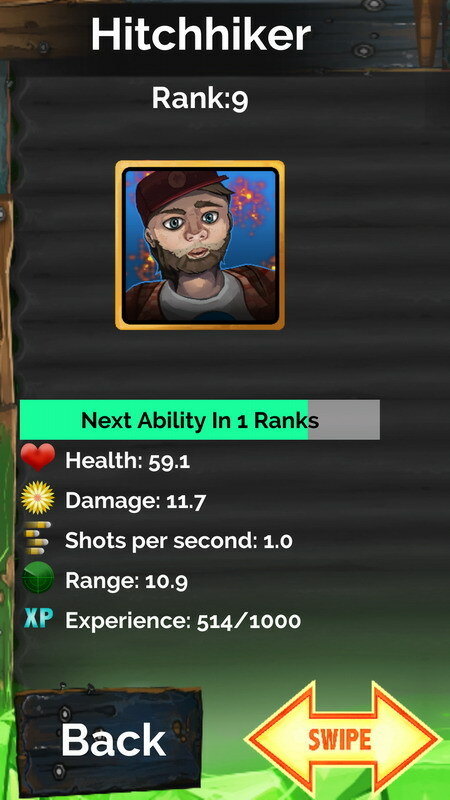 For every zombie a character kills they earn experience points and after every five levels they can learn a special skill or power. This is where the RPG elements come into place, albeit basic ones, as each character has six powers but at max can only learn four so you need to choose carefully. 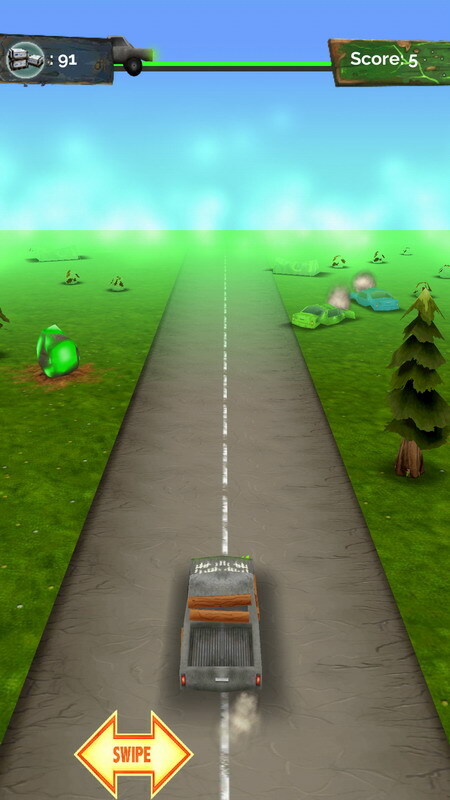 As you go on the story in Fight Fight Zombanite! unfolds and you’ll find/rescue new characters, help people out, run for your life, etc. Fight Fight Zombanite! has a rather robust if stereotypical zombie apocalypse story. 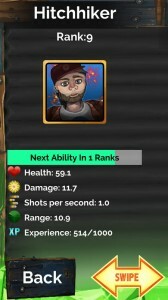 A huge part of Fight Fight Zombanite! 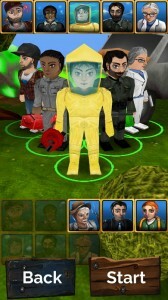 is in formulating your team of characters. 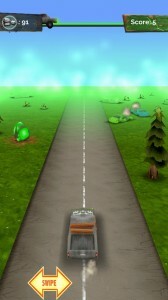 At the beginning you choose one from a list of three; the hitchhiker, the runner and the cop. Each has special abilities/attributes and different ranges/health/attack power. For instance the cop has special stunning bullets like a taser, the runner can run super fast and collect double the supplies and the hitchhiker has area stunning fireworks. As you progress you unlock more characters such as the military man, the doctor, farmer, mechanic and hazmat guy. Again, each has special abilities and are better in some situations than others. 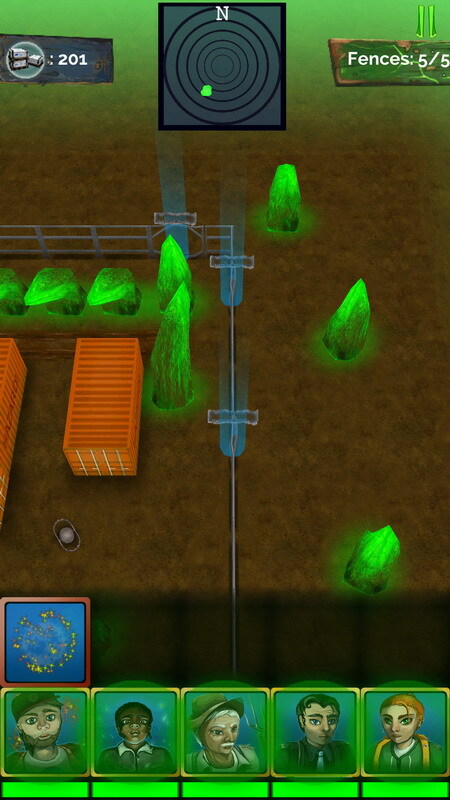 For instance the farmer can lay down traps to kill zombies, the mechanic can build turrets but the doctor has area heal and the military can call in reinforcements. You need to weigh in the pros and cons of each level situation because there are eight characters you can unlock but can only use five of them in any level. 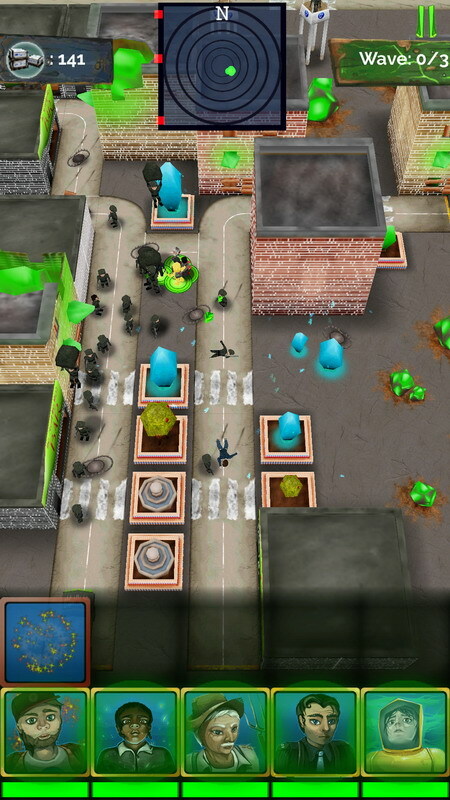 You need to be wary of who you bring into situations because in Fight Fight Zombanite! 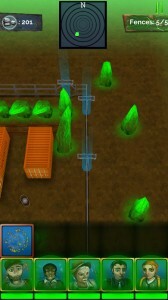 there are lots of different level scenarios. You have supply runs where you have a certain time limit to run around fighting off zombies collecting supply drops, rescue missions, defense missions, survival missions, and repair missions. Fight Fight Zombanite! covers all the basic zombie apocalypse tropes compared to most zombie games which only have a few. 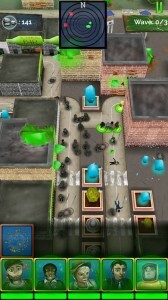 Even better is that each level in Fight Fight Zombanite! is randomly generated, although this can be good and bad. Good that it gives more variety and theoretically exponentially increases replay value but bad because in some situations it works against you. 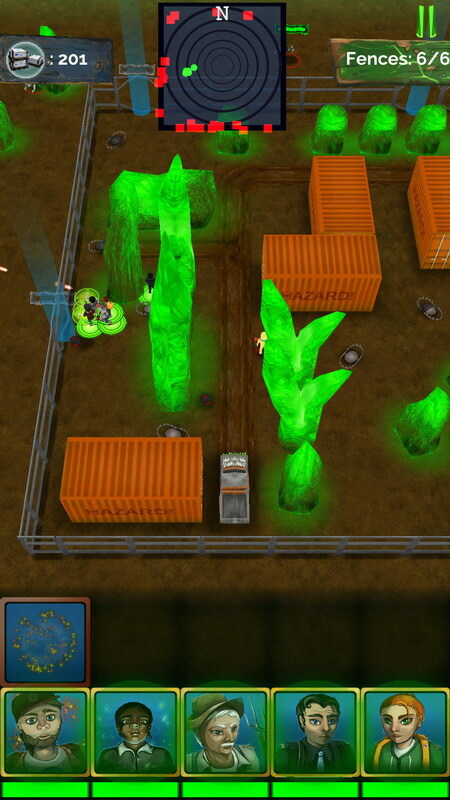 Such as in a defense mission and the defend points are randomly right next to the zombie spawning grounds. 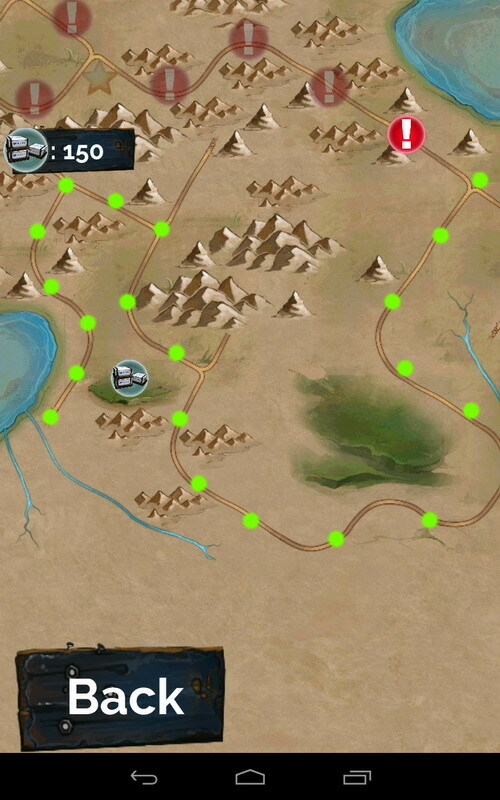 In fact it seems that there is a lot of balance issues with some of the different scenario game types. Most are fine but defense levels are heavily skewed towards loss as the points are too easily destroyed by long range zombie attacks. Three hits from afar and you lose. Other than a few issues like that, though, the different situations are a nice touch. Aside from the very annoying and frustrating defense levels and the other slight balancing issues, Fight Fight Zombanite! for the most part is a pretty good game. Don’t go in expecting much in the way of graphics as they are very dated 3D polygon but it gets the point across and isn’t all that important anyhow. There is a lot of content and story to go through with the levels changing up often to keep things interesting. Fight Fight Zombanite! 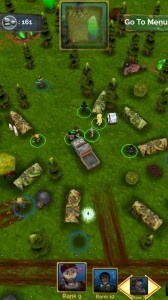 is simple to play and covers all the bases when it comes to the “real” zombie apocalypse. 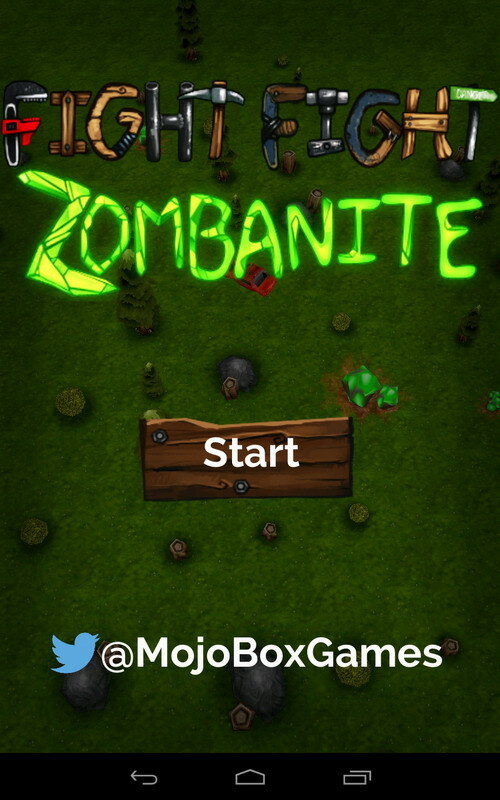 If you like RTS style games I would say give Fight Fight Zombanite! a shot. Fight Fight Zombanite! Stop The Zombie Horde!